A very fine example of an early 19th century period Gustavian secretaire with a wonderful pediment cornice and rare vitrine glass display bookcase. The fall front desk conceals a multitude of drawers, six of which have a lovely convex curve, and a secret compartment. The main drawers below the desk retain their original paint and patina to the interior. 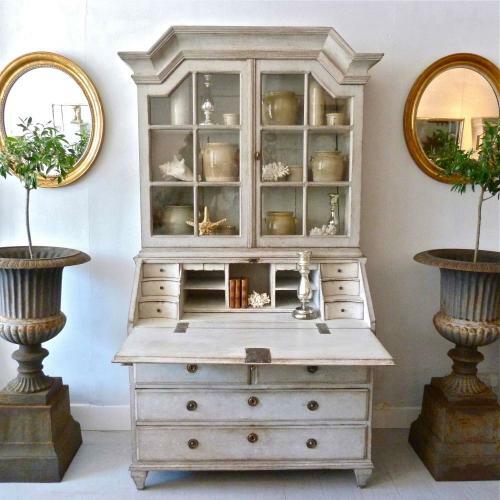 A beautiful and practical piece of Gustavian design. Circa 1800 - 1820.